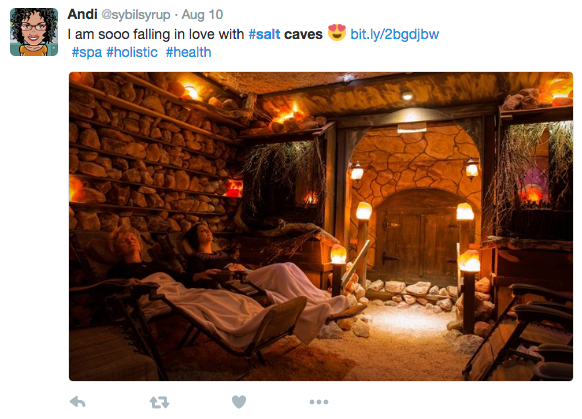 Home > World > Do Salt Caves Really Have Amazing Health Benefits? Sodium is bad for your heart, but is it good for the rest of you? For over half a century, people have flocked to Israel for a chance to take a dip into the Dead Sea. While animals can’t survive in its environs due to the high salt content (ten times more than any other sea), the mineral-rich water filled with magnesium, potassium and calcium is a dream come true for sufferers of conditions like psoriasis, asthma and arthritis. But for those lacking the necessary resources to spend a month receiving climatotherapy treatment in the Middle East, there are options closer to home. They’re called salt caves and while they’ve been popular in Eastern Europe for centuries, they’ve only recently started popping up in cities across the United States. Salt caves, also known as halotherapy chambers, are exactly what they sound like — large, enclosed cavities where the walls, ceilings and floors are lined with salt. Most caves include lounge chairs for customers to relax and burrow their hands and feet beneath the salt as if it were sand. Some facilities take it one step further by using generators to pulverize the salt into breathable pieces, which are then fanned throughout the room. It’s a trip to the beach, but without all the hassle of juggling coolers and umbrellas. Like the Dead Sea, salt caves can be useful for people with breathing or skin conditions, but the lack of scientific research in the United States makes doctors less inclined to recommend them. There are studies proving the benefits of salt —for example, a study in the New England Journal of Medicine discovered that cystic-fibrosis symptoms can be improved by spraying a concentrated salt mist directly into a person’s mouth twice a day. Still, the results of the study don’t necessarily carry over to salt caves. Nevertheless, CF patients find the rooms helpful in reducing sinus pressure, coughing and improving the quality of their breathing. Copious benefits aside, there are downsides to using salt caves. Asthmatics and those with severe allergies should tread lightly; salt can tighten airways, and awaken nerves in nasal passages, making it even more difficult to breathe. 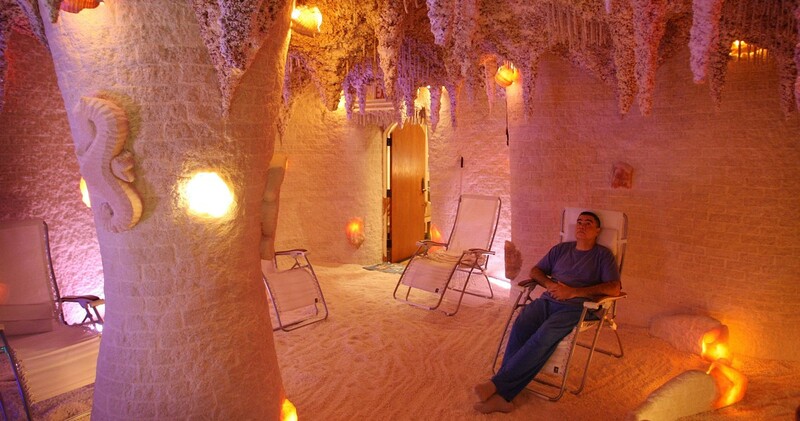 As a general rule, patients with lung issues should consult their physicians before making an appointment at their local salt cave. Regardless of the long-term medical benefits, salt caves provide much-needed relief to those suffering from chronic pain. And considering most salt caves only charge about $25.00 for 45-minutes, they’re significantly more reasonable than taking a trip to the Dead Sea.